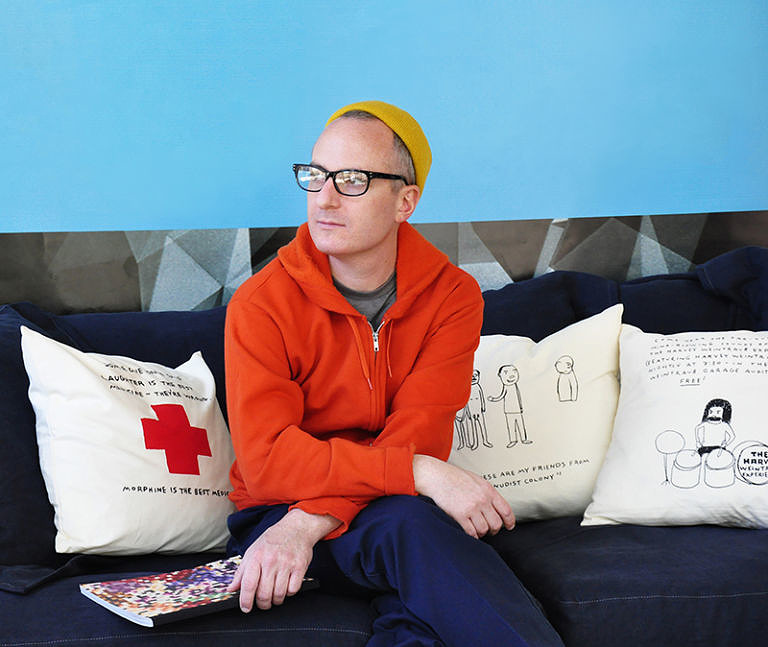 In terms of wit, humor, and creativity, Knock Knock has met its match in Dan Golden—artist, designer, and wearer of knitted fisherman beanies. Dan’s vast repertoire of work is a nifty combo of contemporary, polished sophistication and quirky commentary. His design sensibility stays true no matter the medium or scale of the project, as evidenced by his line of clever tabletop ware and home decor for CB2, imaginative wall decals and clocks for BLIK, sleek museum seating model, and uniquely illustrated Apology Postcards—just to name a few. It’s no wonder press like The New York Times and Apartment Therapy have taken notice of his stuff. 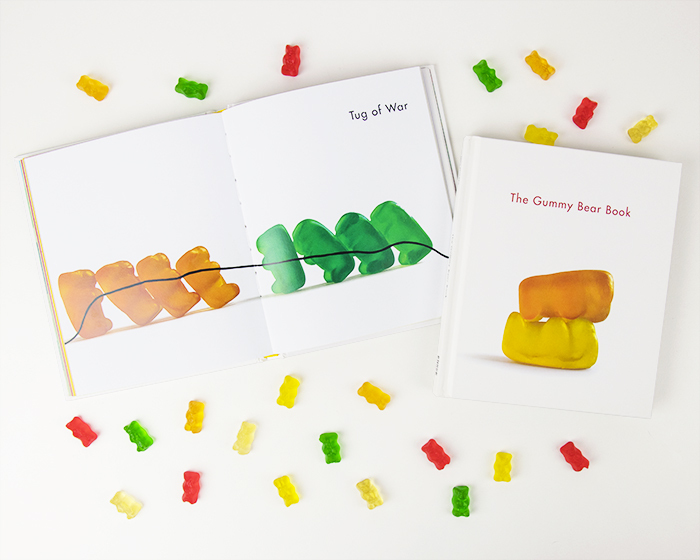 He compiled these scenes into The Gummy Bear Book, an amusing photographic collection of gummies captured in their natural habitat. 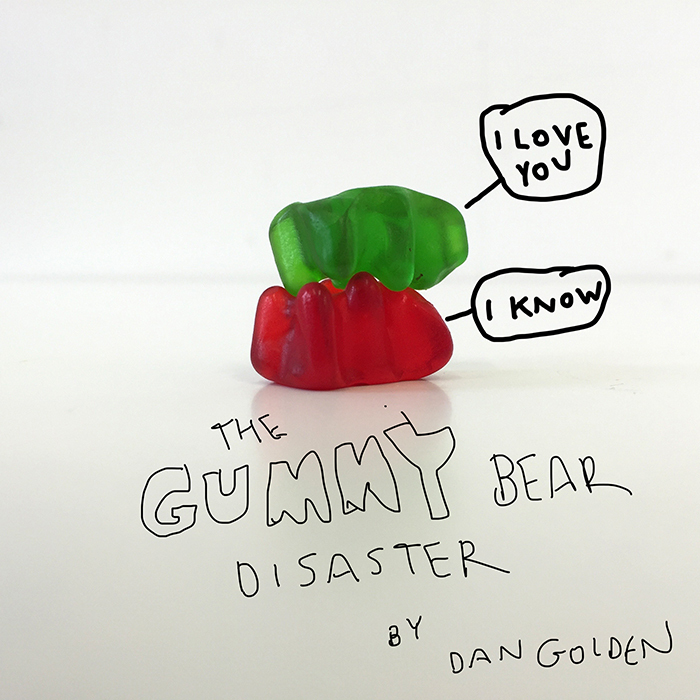 Since the publication of The Gummy Bear Book and Sorry I Farted and 24 Other Apology Postcards, Dan has become Knock Knock’s creative director. We’re convinced it’s our communal buckets of candy and chocolate that lured him in. 2. 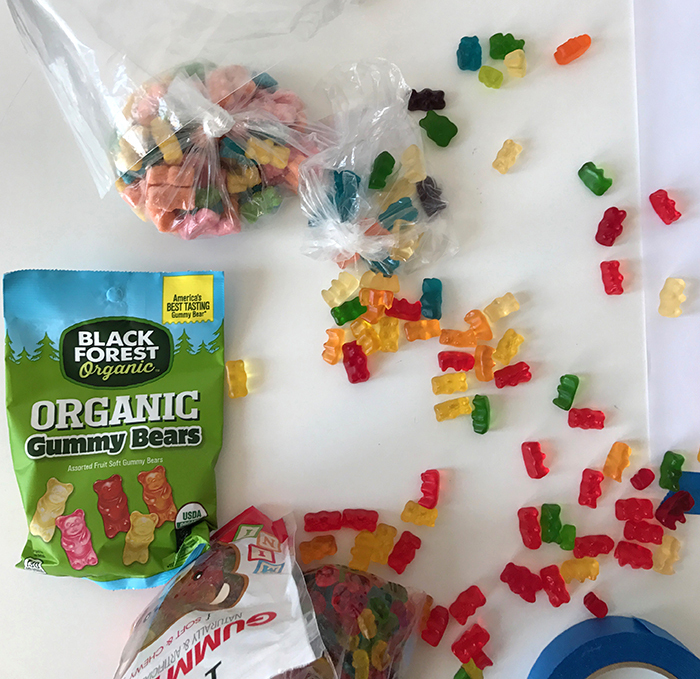 How did you come up with the different gummy bear scenarios featured in the book? Most of the ideas came from me just playing around with (and eating) gummy bears. Other ideas came from my wife, Jen. And still more from my editor, Erin. How long did it take photographing all these different gummy bear scenarios? It actually took a couple months to get all the shots. 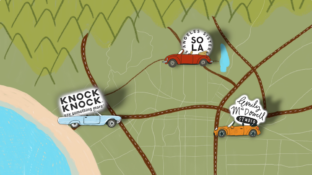 Partly because I was in the middle of moving from New York to Los Angeles while working on the book. What was the most challenging part in creating this book? The biggest challenge was not eating all of the props before I took the shots! Seriously though, one of the biggest challenges was trying to balance and stack rows of gummy bears on top of each other for the pep squad shot. I could only get two rows, but Knock Knock wanted at least four. It got a little tense, but we worked it out. 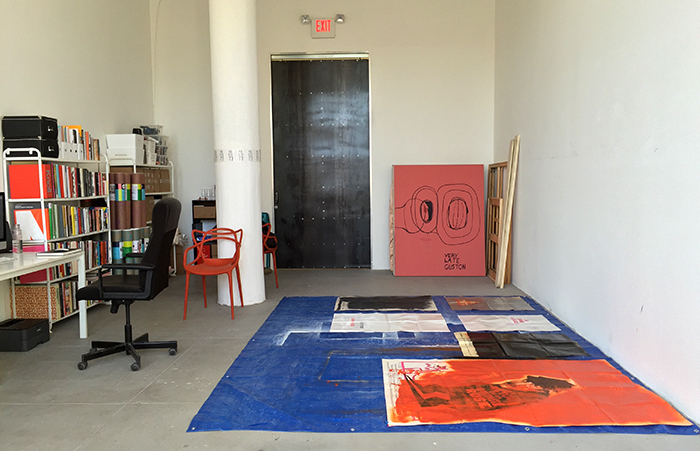 Inside Dan’s studio at Mana Contemporary in Jersey City. His space was part-design studio and part-art studio, and fitted with a design library. 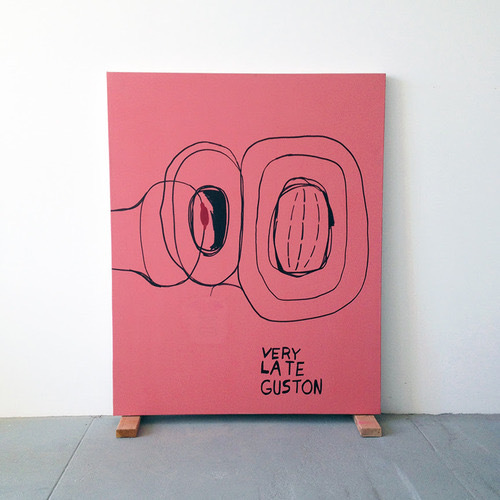 Spot Dan’s “Very Late Guston” on the back wall, his play on Philip Guston’s late work. 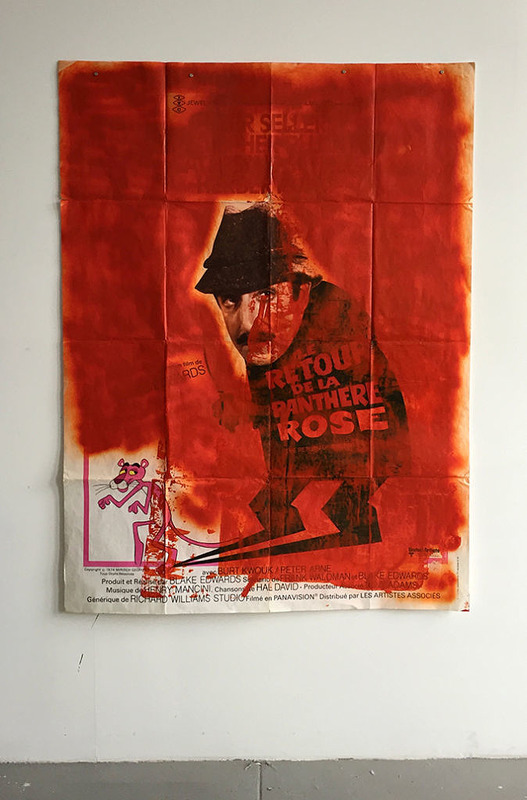 Artwork by Dan entitled “Le Retour de la Panthère Rose.” For this piece, he used spray paint on a vintage “Pink Panther” poster. 5. Your designs, concepts, and illustrations span various products and mediums. What advice can you give fellow creatives who would like to follow a similar path? My path has been a bit meandering, so I wouldn’t necessarily suggest following my lead. 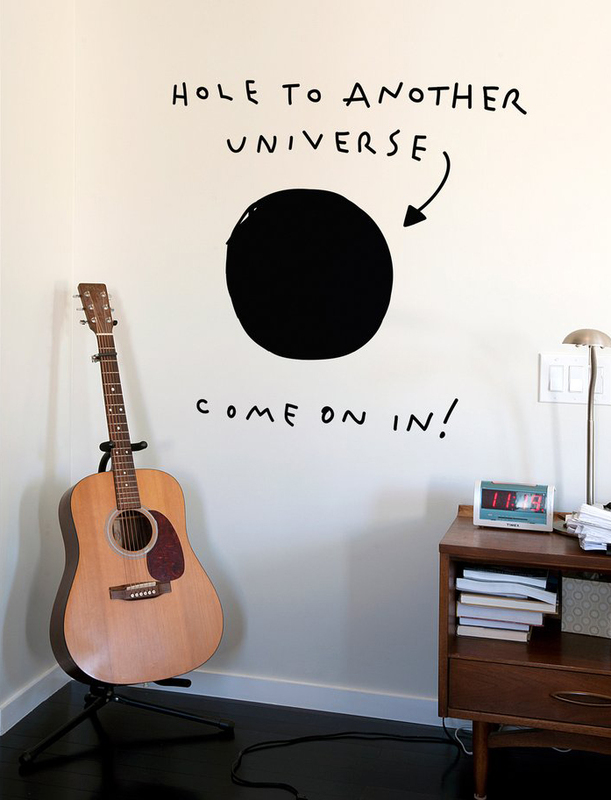 But, for any creatives who are interested in pursuing a similar path, I would say explore everything that interests you. You may not get to your destination quickly, but you’ll have gained a wider perspective, which will benefit you in the long run. Develop and acknowledge your own unique voice and approach. Do things your way, and keep doing them better. Don’t waste your time comparing yourself to others. Most importantly, be clear and specific when answering questions rather than giving vague, general responses. 6. Where do you typically get inspiration from? So many places! I check out sites like It’s Nice That and Design Milk, or look at Instagram and Pinterest. I love the look of those old French New Wave films and the worlds created by auteur filmmakers. Also, old movie posters and vintage stuff. I also like things that have a patina to them. Music is also a great inspiration for setting the mood or tone. Fashion is another place—I love looking at W Magazine for visual and mood inspiration. 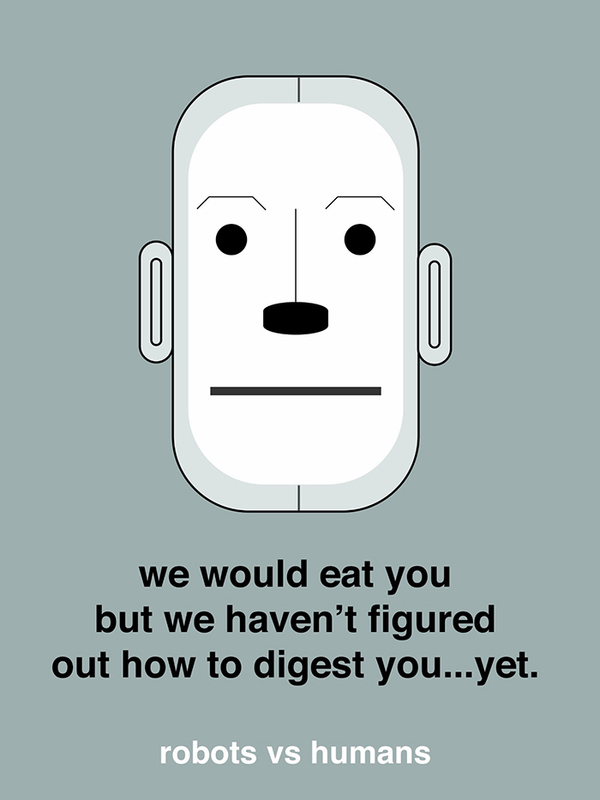 One of Dan’s cleverly-designed wall graphics for BLIK. 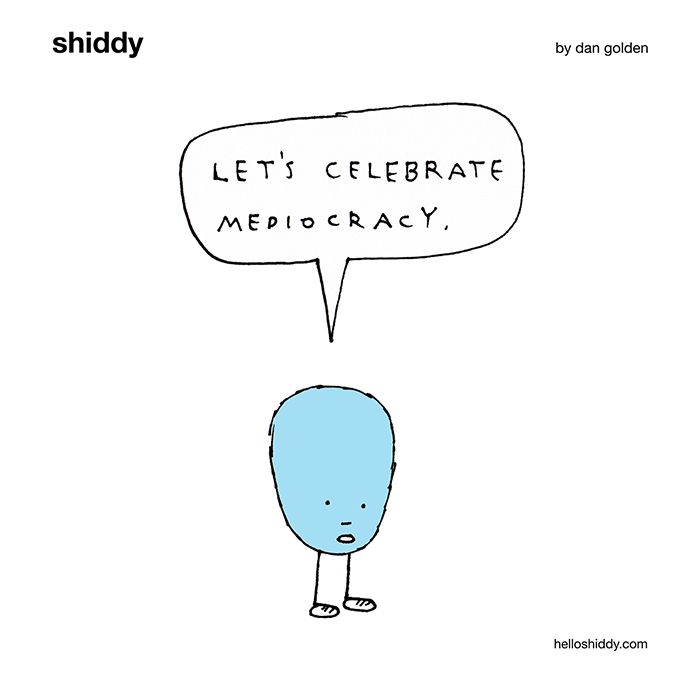 Meet Shiddy—a self-deprecating and lovable cartoon character by Dan. 6. Hobbies outside of design? Watching movies, going to art exhibitions, napping. 7. What are 3 things on your bucket list right now? Learn to surf. Why not? Skateboarding. I hear the cool kids do it! 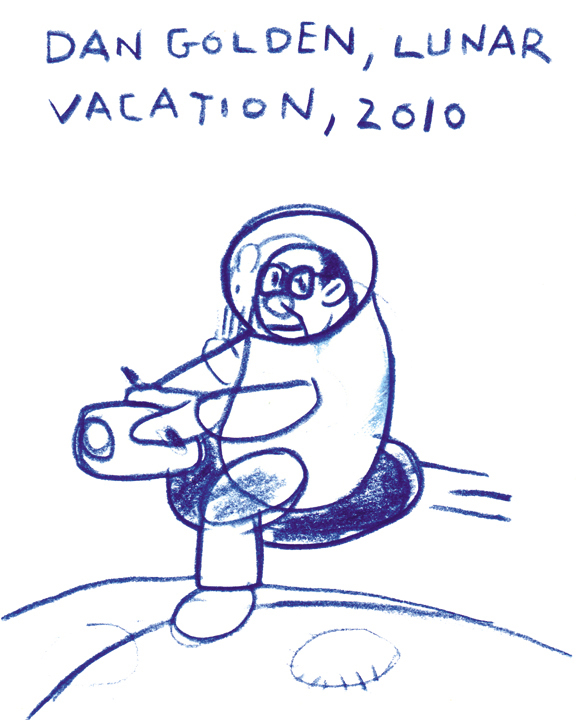 A sketch of 2010 Dan Golden flying to the moon, drawn by late-‘90s Dan Golden. For updates on Dan’s projects, check out dangolden.com. You can also follow Dan and his illustrated cartoon Shiddy (seen above) at @dangoldenstudio on Instagram. Photos courtesy of Dan Golden and Knock Knock. *That’s what you think, Dan! **If you’re an art buff, check out Curator, an online art and design magazine celebrating creatives and founded by—you guessed it—Dan.